What Happens When Your Hair Becomes Too Damaged? This client is like many that I have had before. 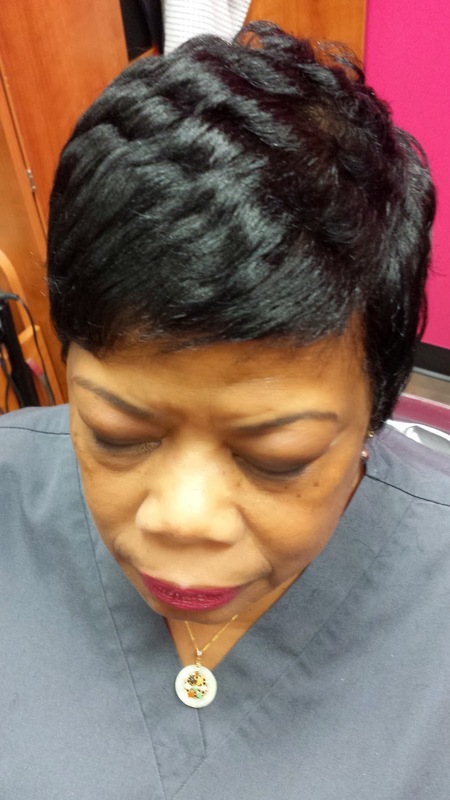 She came to me saying she wanted a hairstylist who could help her grow her hair, that she wanted it to be healthy, that she wanted it to not break any more, all while keeping her relaxer. 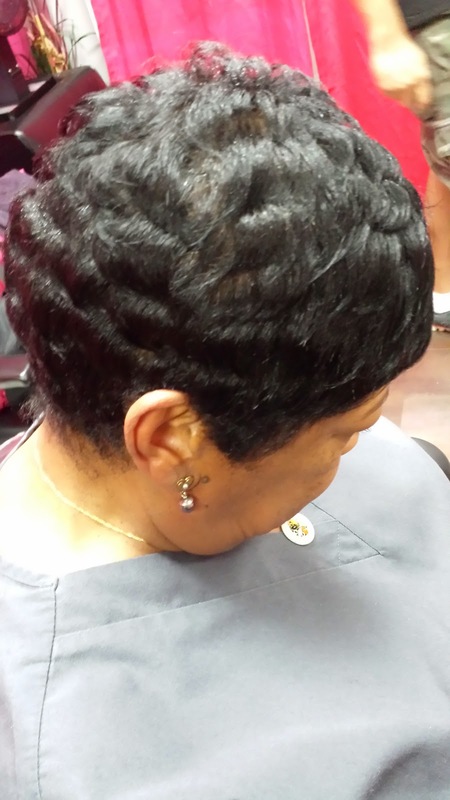 I told her the same thing that I tell all of my clients which is that in order to have healthy relaxed hair she was going to have to stretch her relaxer out to at least sixteen weeks or when she gets two inches of new growth. Well, she swore up and down that she would try it yet after only ten weeks she said she could not do it anymore. 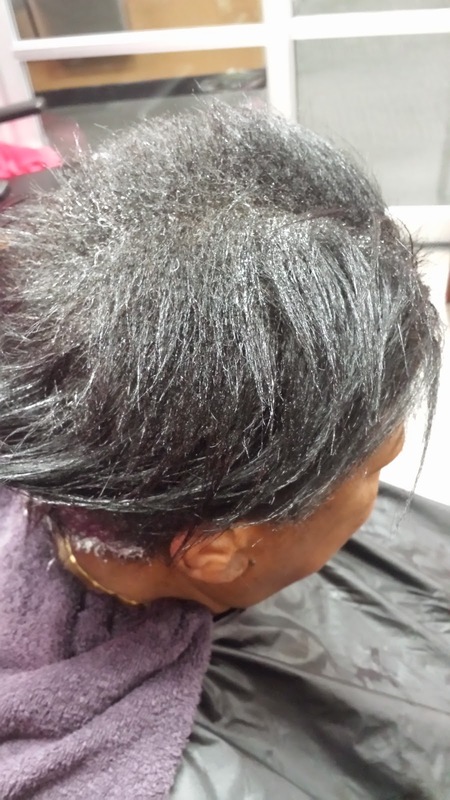 Her hair was already slightly damaged and continuing to get more relaxers too soon only made it worse. I told her that unfortunately she was going to have to get her hair cut. 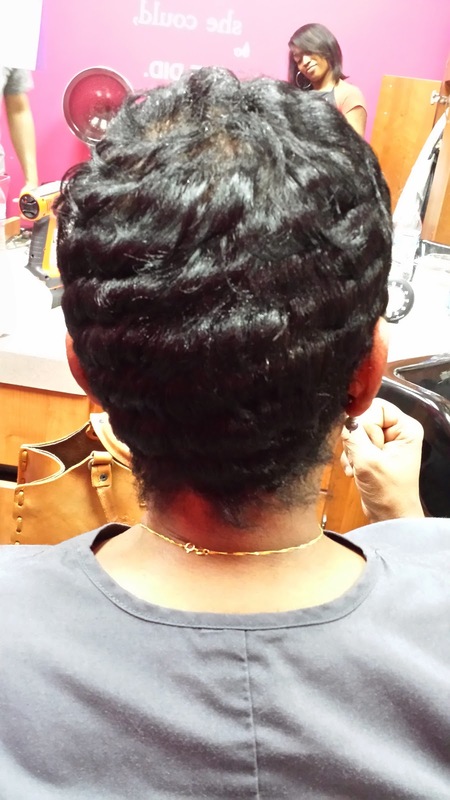 That way, all of the dead ends would be off and with short hair you can get away with getting a relaxer every ten weeks because you are constantly cutting any hair that may become damaged off anyway. 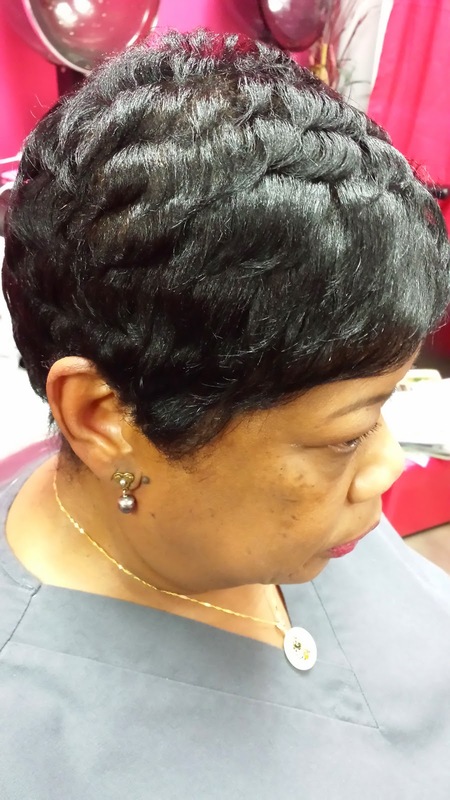 I relaxed her hair and did a semi-permanent color on it as well to cover the gray. After rinsing the relaxer and shampooing the hair I cut it while it was wet. I then molded the hair down into its shape to place her under the dryer. After I molded her hair down, I was already pleased with how the cut was looking because it looked so much healthier! This client was very sad to see her hair go but she knew that she was going to have to get it cut because she had so many dead ends and it was extremely uneven. She wanted something soft and simple so I did a basic curl all over the head. Maybe next time she will allow me to do something a little more sassy. I knew I had to take her through this process with baby steps first. Now she is happy because I showed her the before picture, then the after and she agreed that a cut needed to be done. She likes the short cut and I absolutely love it. Looking forward to seeing it again in two weeks! 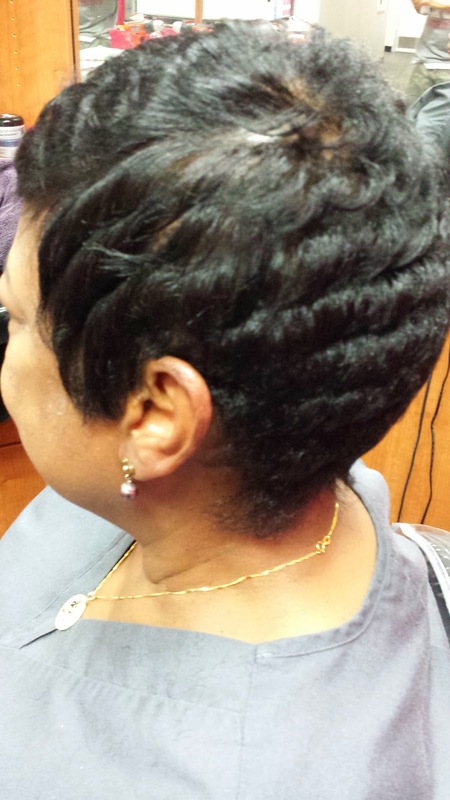 I do not have many short haired clients so the ones that I do have I like to get creative with them. In order to maintain this she only needs to put her satin scarf on at night and sleep soundly. She can spray it as needed with Silk Hydration by L. Jones. I'm looking to buy your products. I see that they are pricey though. Could you give me any recommendations on what to buy? Are these products top notch? My problem is that I don't have Paypal. I've heard mixed reviews on paypal. What should I do if I don't have a paypal account? You do not have to have a Paypal account to purchase, however it is recommended.